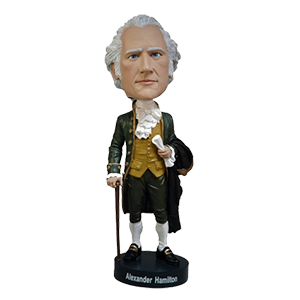 Oh [Bobblehead] Alexander Hamilton: When America sings for you, will they know what you overcame? Ships in collector’s box with molded styrofoam protection. 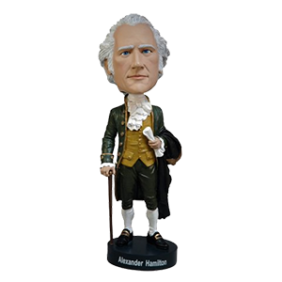 Start a collection with Jefferson, Washington and John Adams.